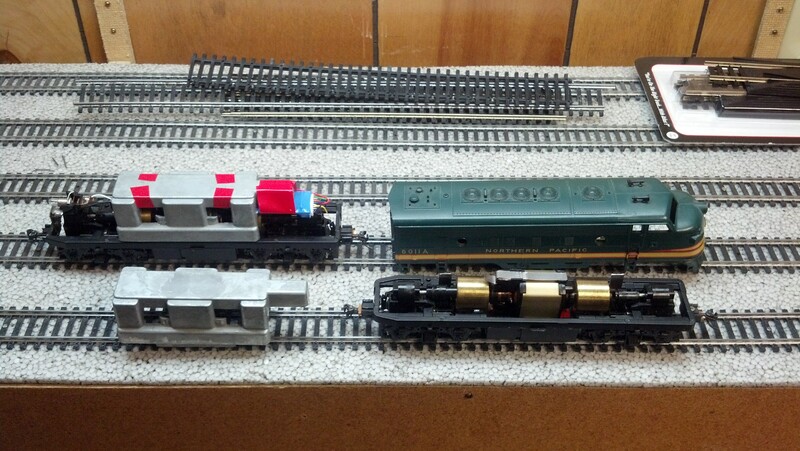 I’ve started adding DCC decoders to my engines. 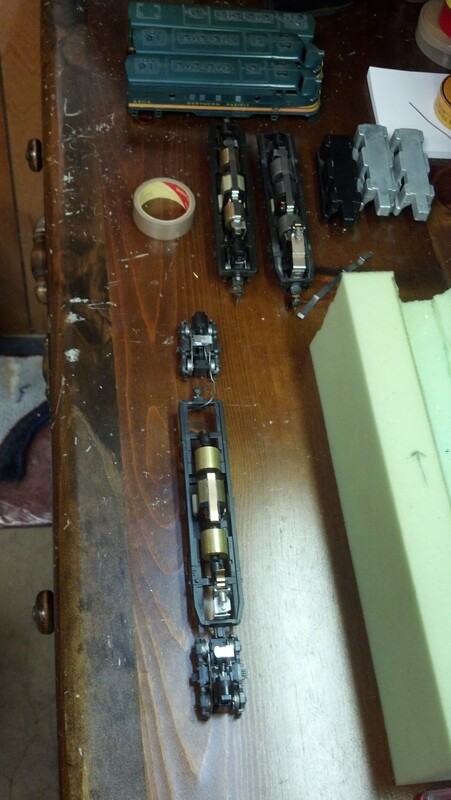 This can be a challenge as older engines frequently have very little room inside the shell for new equipment. 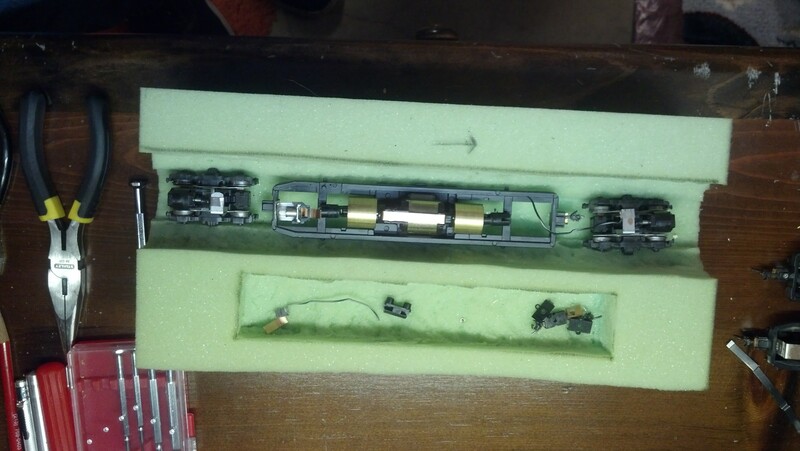 As you can see these NP “F” units have a large weight over the motor, so I had to run the wire from the front truck and light to the decoder inside the weight and tape it to the inside top. This entry was posted in Electronics on January 12, 2016 by Capt.Brigg.